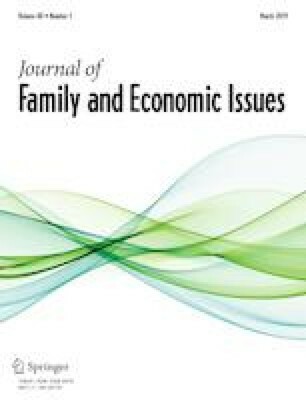 In this study, household “Negative Interaction” behaviors (counterproductive behavior between home occupants) were measured by examining “Household Budgetary Constraints” (a relative measure of the balance between income and expenses), via the discriminant analysis segmentation strategy: Decision-Ade. In the current methodological study, the Decision-Ade segmentation strategy is expanded from its origins in energy-efficiency research, to family and economic issues research, thereby expanding the scholarly and programmatic “toolkit” approaches used by researchers and stakeholders in this discipline. The sample consisted of 1943 homeowners in southeast coastal United Stated (US) who were part of a larger disaster-preparedness study related to energy efficiency and occupant relationships. Among the sample, 54% (n =1049) of respondents reported the presence of “negative interaction” behaviors in their home. They also displayed misperceptions regarding their “Communication Practices” and “Engagement Practices” (how home occupants communicate and interact with one another). Interestingly, 72% of these respondents (n =1399) reported earning between $25,000 and $100,000 in annual household income, with 39% (n =758) earning > $50,000. Although this could constitute a “living wage,” those studied in this research self-reported as having “Household Budgetary Constraints,” which indicates an imbalance between income and expenses. These same respondents also were highly likely to be associated with having “negative-interaction” behaviors occurring in their home, which is considered a major deterrent to stable, healthy households in family studies research. This study was partially supported by the USDA National Institute of Food and Agriculture, Hatch project number 1009782.